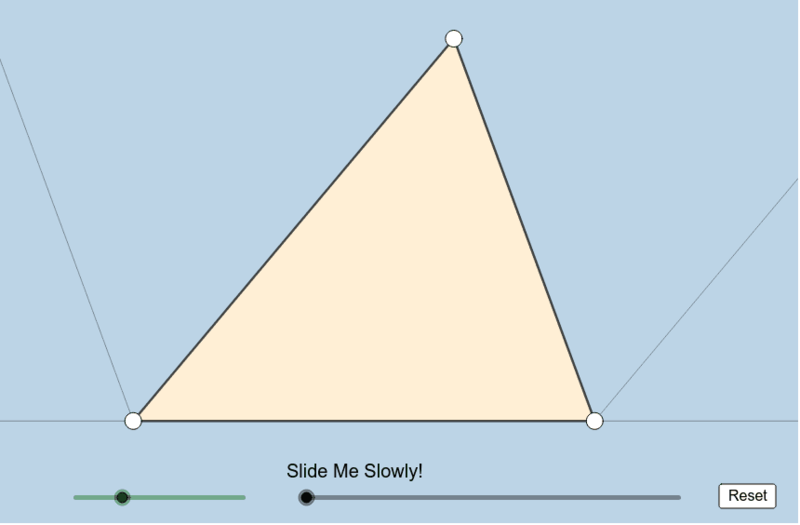 Creation of this resource was inspired by a problem posed by Antonio Gutierrez (GoGeometry). You can move LARGE POINTS anywhere you'd like AT ANY TIME. You can also control the size of the green angle by using the green slider. How would you describe the phenomena you see in your own words? How can we formally prove what is dynamically illustrated here?